Knight Global designs and builds an assortment of custom End Effectors, specializing in custom lift assists and lifting devices, for all of your ergonomic solutions. From the simplest applications to the most complicated, we’ll assist you in choosing the correct End Effector that is best suited to meet your manufacturing needs. There are five (5) design styles of End Effectors that include: Clamp, Hook, Magnet, Nest, and Vacuum. Each handling device is designed with the operator’s safety in mind. 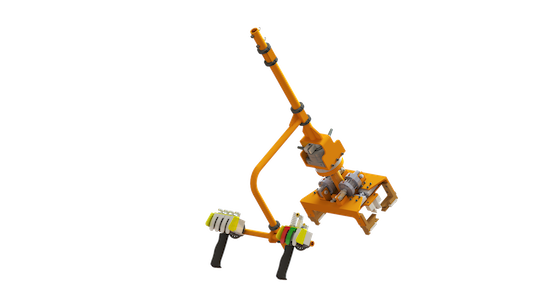 End effectors can be operated manually, mechanically or powered to meet your application requirements. Our team of fixture designers will create a detailed, ergonomic analysis of your material handling needs, which is the most important step in being able to suit you with the correct assist device. We factor in every aspect of your application, from the environment, desired operation, overall clearances, product materials and surfaces, clamp locations, required movements (angles/tilts/ turns/rotations), cycle times, to the set-down environment. Clamp End Effectors are available in an inner and outer surface clamp configuration, and an inner and outer diameter clamp configuration. Clamp end effectors are used to handle a wide variety of applications. Clamp End Effectors apply inner or outer force to secure the product and are designed specifically to each application. Hook End Effectors are designed to be a quick and simple solution when available to transfer your product and are available in multiple styles. 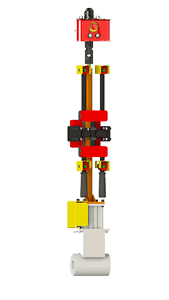 Hook End Effectors quickly connect and disconnect to designated areas of the product or fixture. Most applications tend to be straight lift and transfer with no manipulation of the product. Some typical applications include: spare tire transfers, hood lifts, cylinder head lifts, axle lifts, driveshafts and battery lifts. Magnet End Effectors are ideal for steel parts. 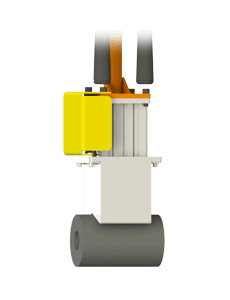 Standard Magnet End Effectors are available in an Air Driven or Electromagnet configuration depending on your application. Magnet End Effectors are commonly used for picking up sheets of steel or cylindrical steel tubes among many other types of applications. 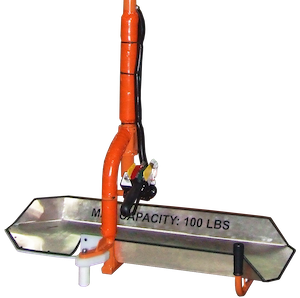 Magnet manipulators maximum capacities vary per application. Nest End Effectors are an ideal for less-complex, but secure solutions. These devices are used to handle a wide variety of applications that require no part manipulation. 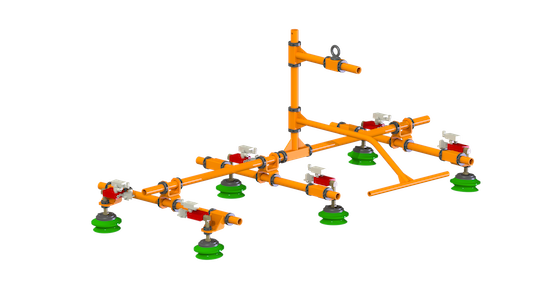 Nest End Effectors scoop underneath the product using it weight and gravity to secure the product being transferred. 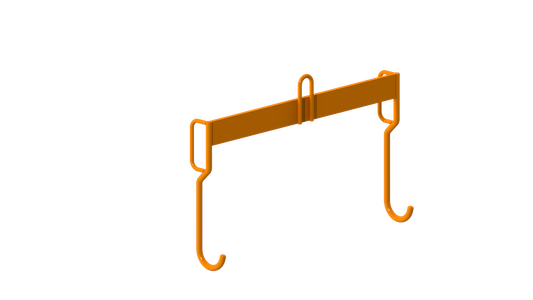 A latch or clamp may be added to secure the part into the fixture. The nesting structure can be brass, steel, urethane, nylon, etc. Nest End Effectors are easy to operate and require little to no maintenance. Vacuum Cup End Effectors are an ideal solution for handling non and low porous materials with flat or slightly curved surfaces such as metal sheets, glass, boxes, hoods, doors, body panels, etc. Vacuum End Effectors are available in multiple cup configurations depending on the application requirement. Vacuum manipulators are commonly used for straight, horizontal, shear and multi-contoured surface transfers. The maximum capacity of Vacuum End Effectors varies per application.